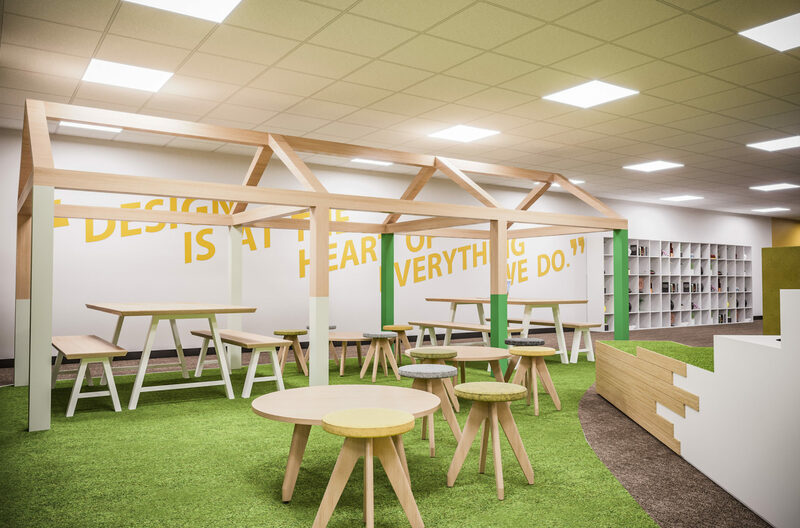 The area was designed based on the values of the company, with their core value being “Design is at the heart of everything we do”, the design process was a great collaboration between Imium and IG Design Group, with a very strong relationship established over the course of the project thanks to a shared principle of design being the most important element of this project, it made the design process a pleasure. Our design team worked relentlessly to create a space that met the needs of the client but was also an attractive space to work that people would be proud of and look forward to coming to day in day out. 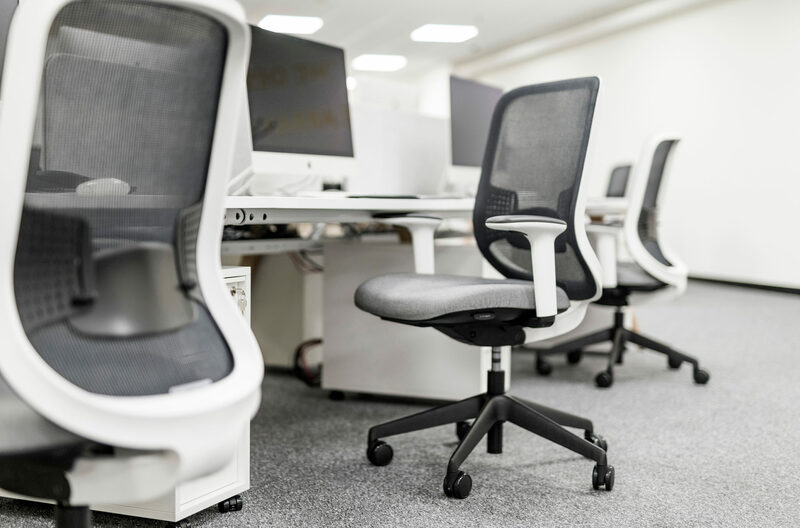 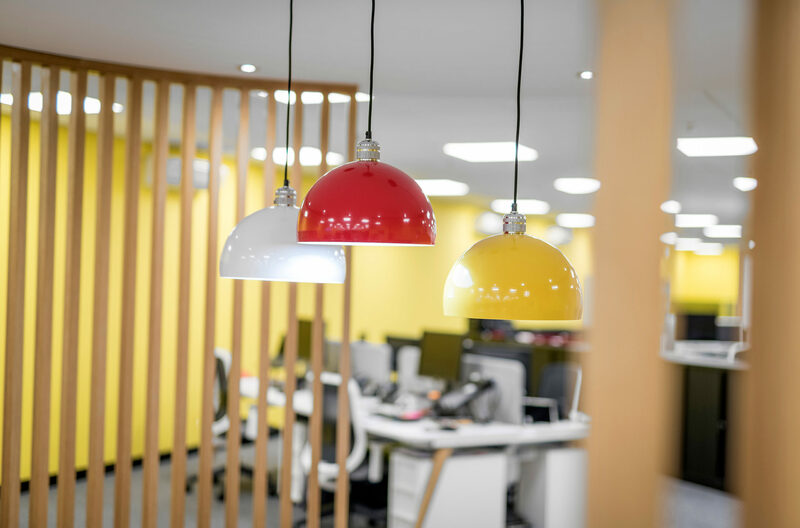 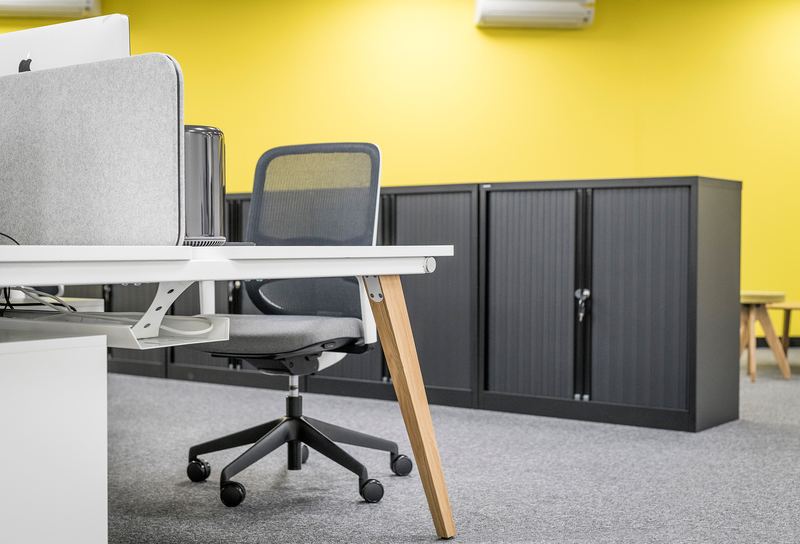 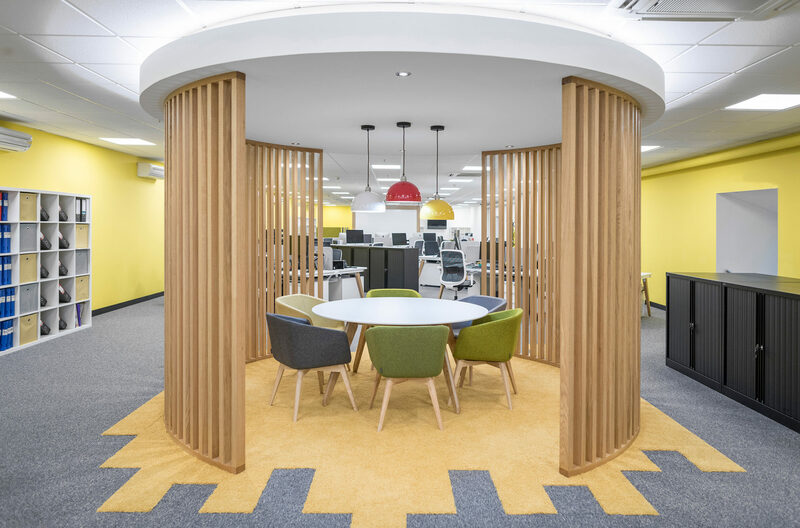 The key objective of the project was to create an office environment that reflects the company ethos and values of openness and collaboration whilst providing an engaging and creative place to work. 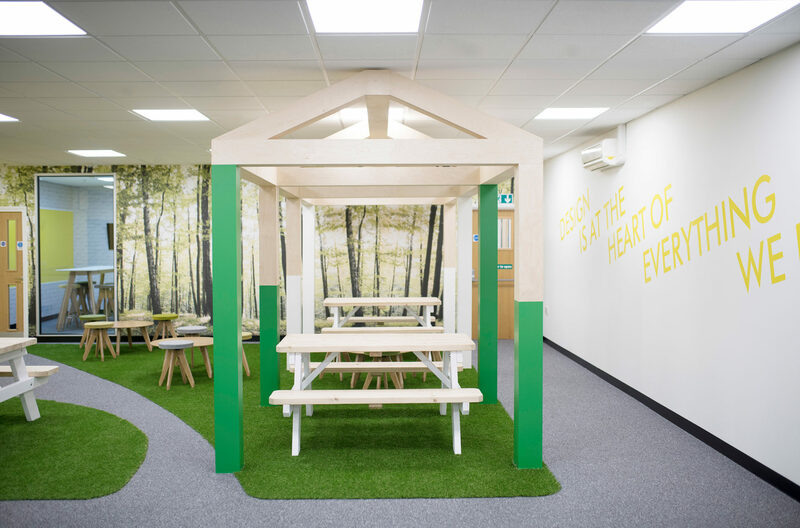 Upon first visiting the site one of the first findings of our design team was a lack of opportunity for the staff to connect to nature. 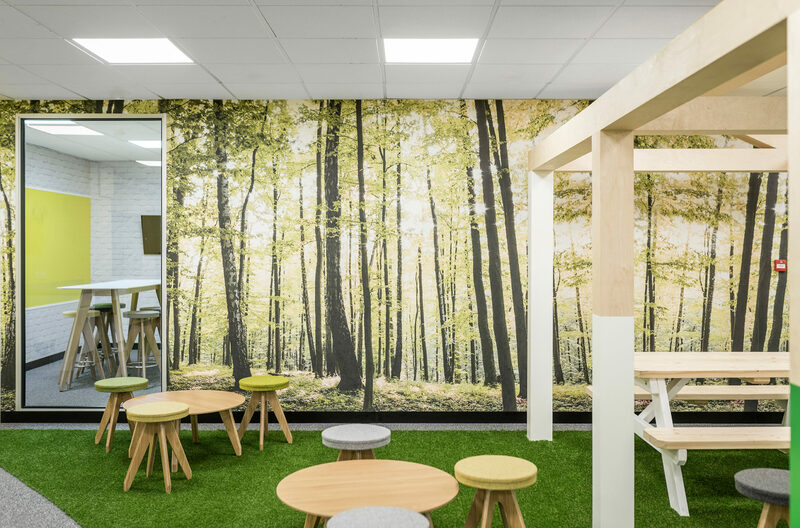 Through discussions with the client and exploring biophilic design the idea developed to incorporate an internal ‘Park’ that will allow staff to break away from the desk for lunches, informal meetings and agile working. 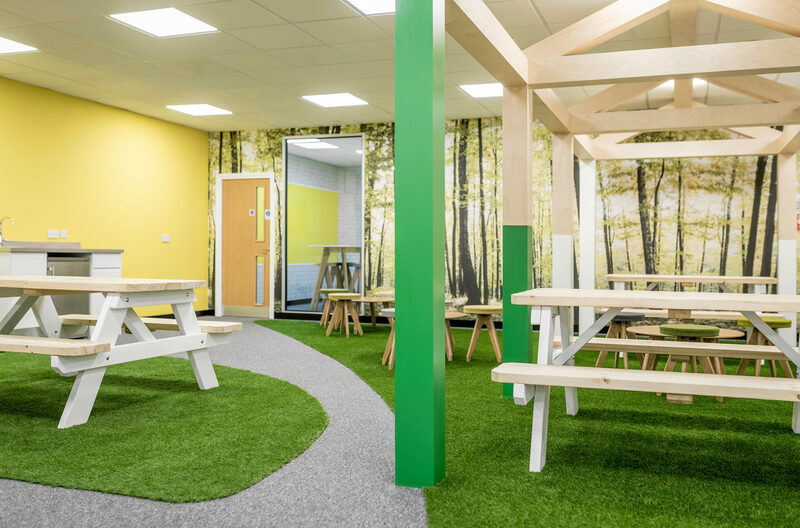 Natural elements inspired the colour and material palette and the space includes natural timber, faux grass, forest wallpaper. 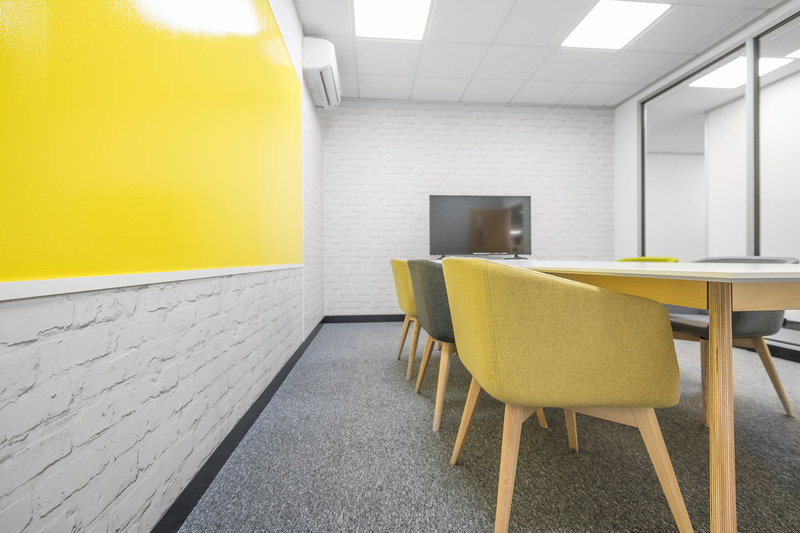 Yellow was chosen as the primary colour of the design due to its association with creativity and happy things in life. 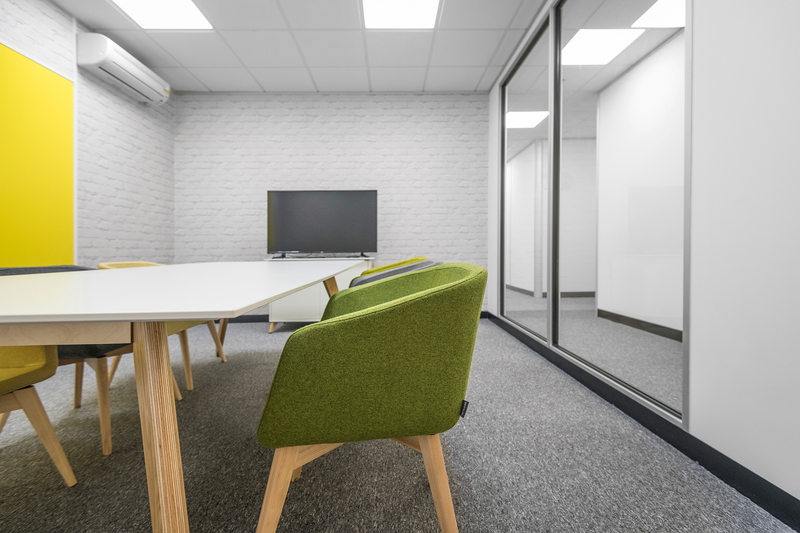 The building has few windows and natural light is at a premium. 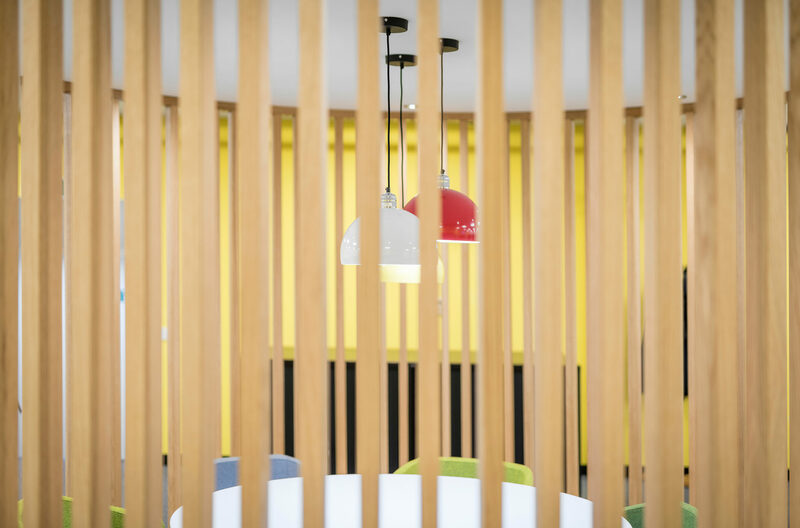 It was essential that the space felt bright and refreshing even in the darkest days of the Welsh winter. 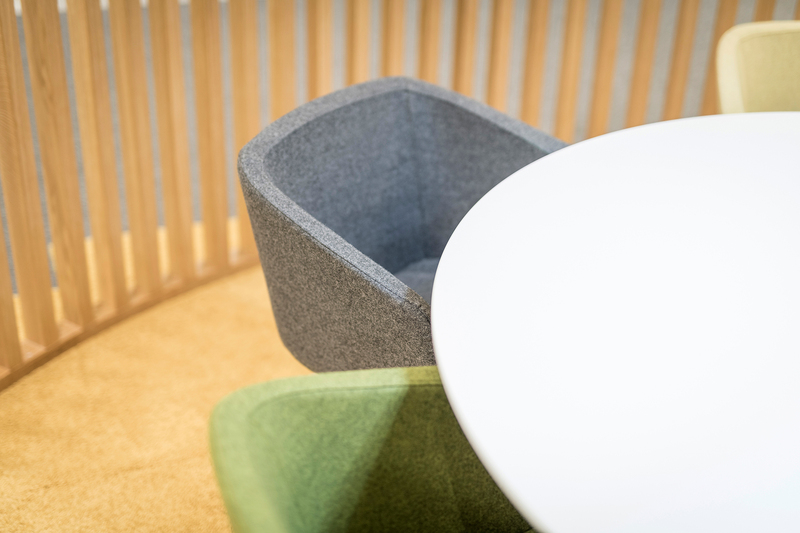 The fabrics of the furniture were then selected to work with the design with greys and greens used throughout the breakout and meeting spaces. 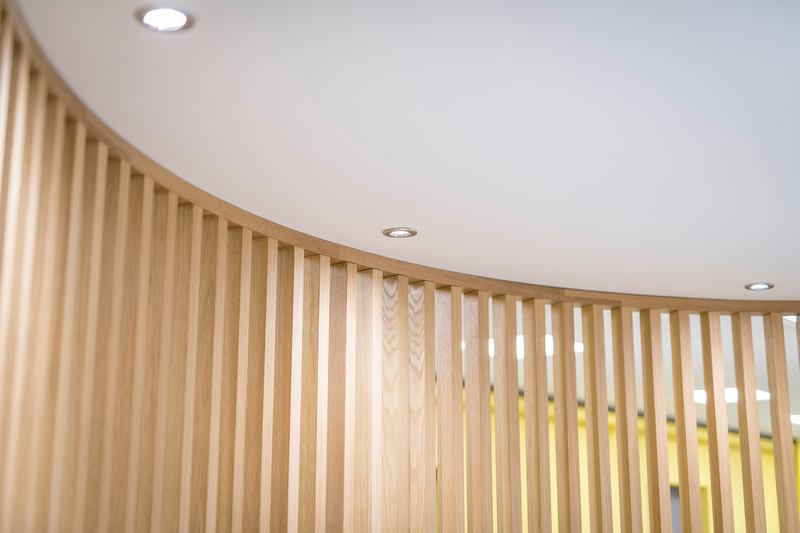 Green evokes calmness and collaboration and timber features help to enhance the users’ connection to nature. 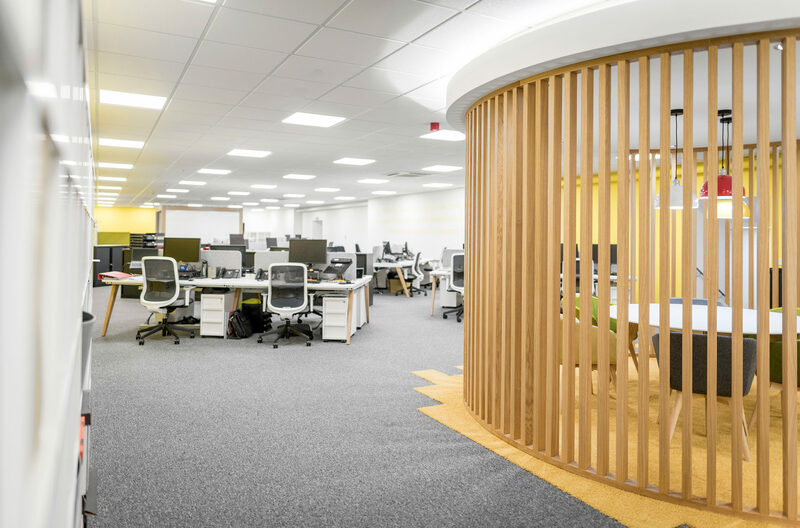 The existing office no longer worked for the company as it was subdivided into a series of individual private offices which inhabited collaboration. 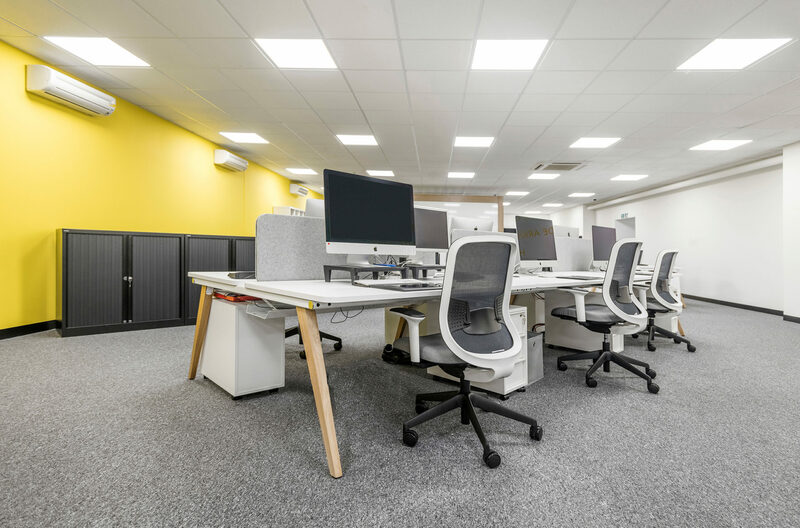 The remainder of the staff’s workstations were arranged in the remaining space which had the feel of a corridor due to its long and narrow layout. 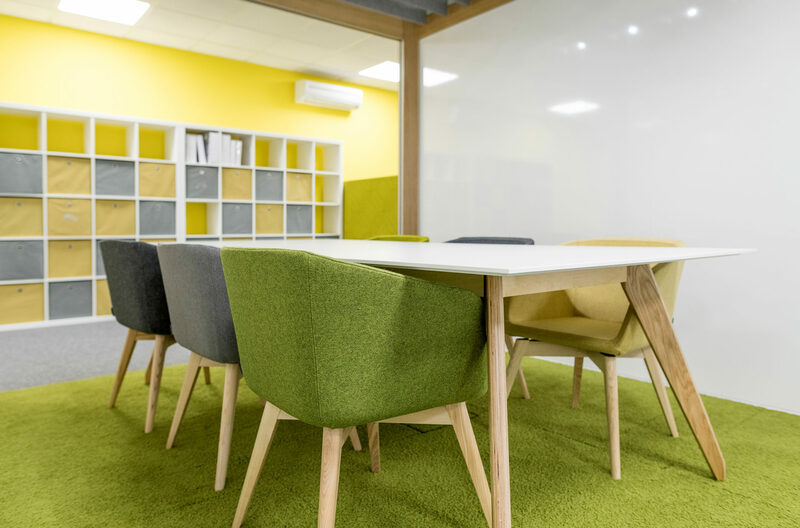 We overhauled the layout by removing all of the offices and rearranging the desks on to a 45-degree layout and purposely avoided a dedicated walkway. This helps to counteract the long narrow feeling of the space and encourages staff to interact as they navigate around the office. 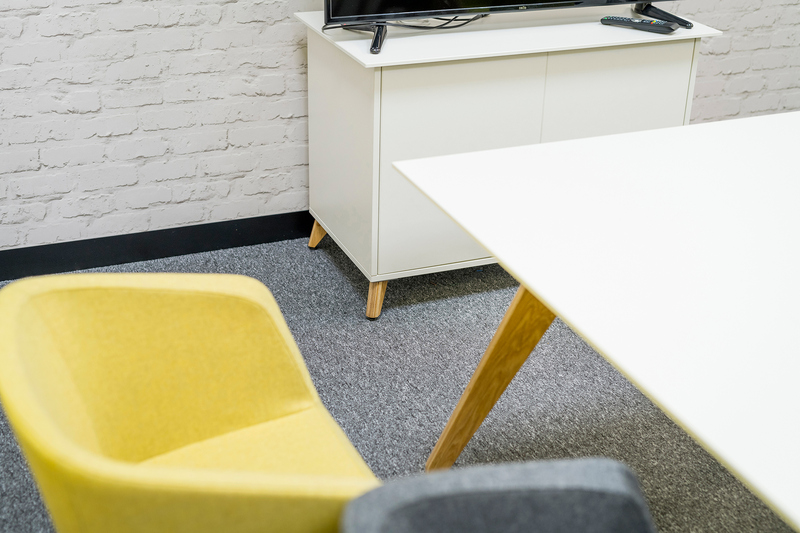 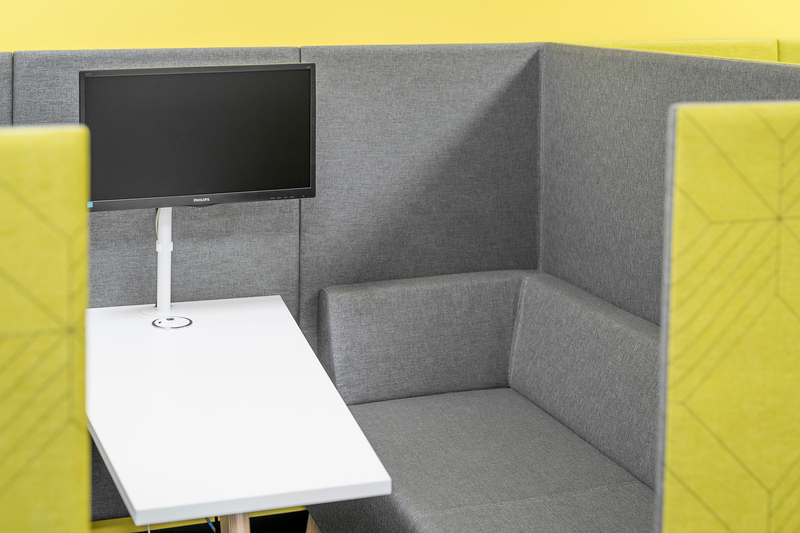 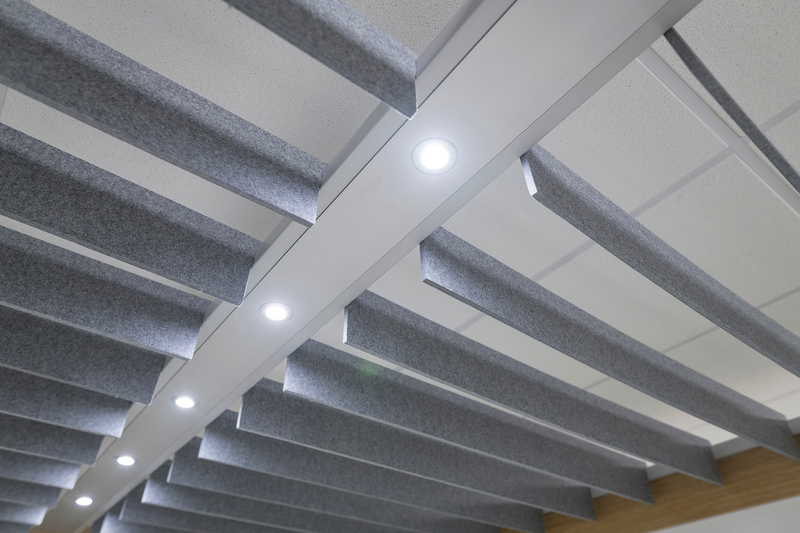 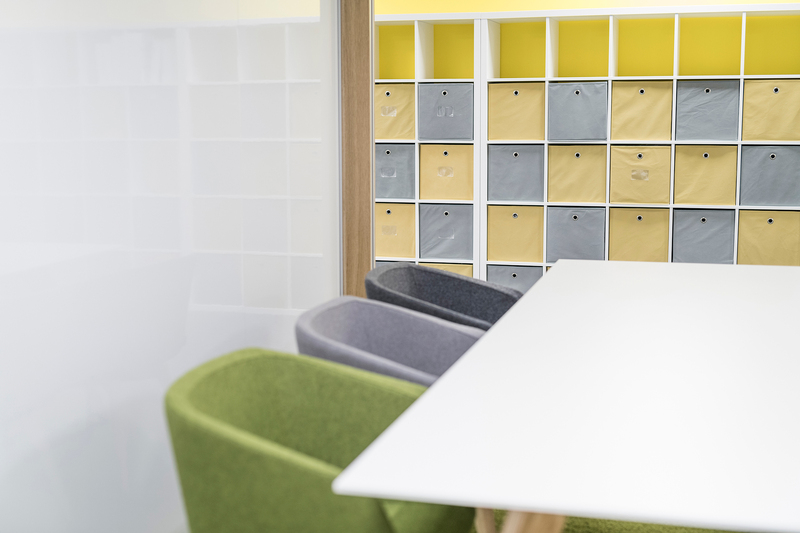 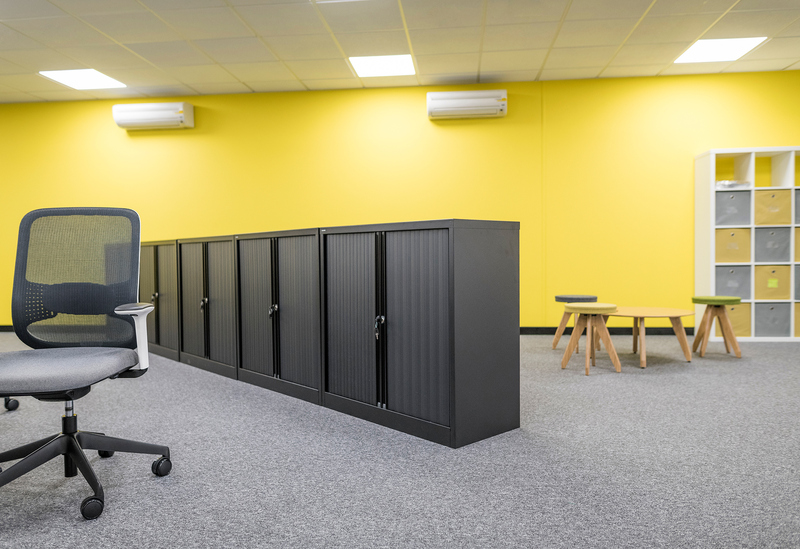 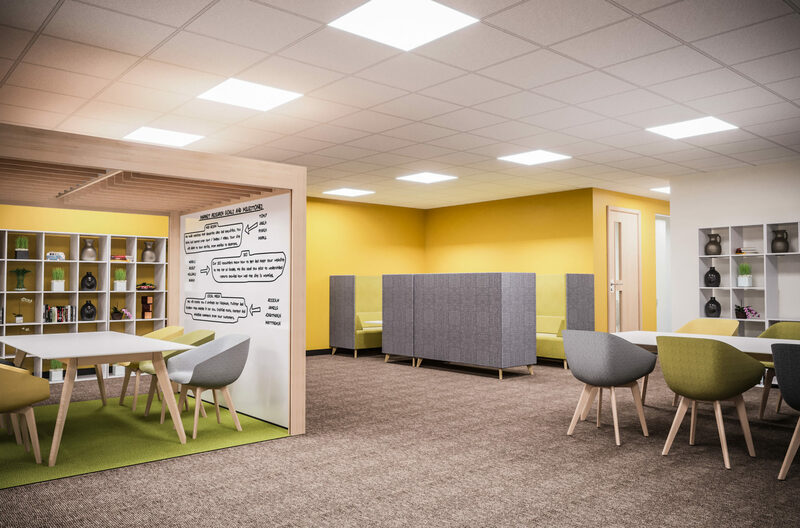 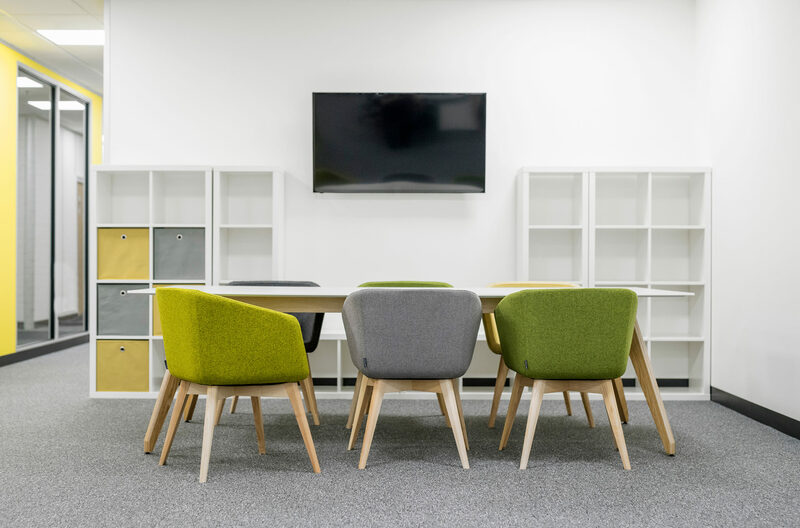 We further avoided the corridor effect by placing the meeting spaces and agile zones within the layout – these have been designed to provide an element of privacy but are still open.